Now that fall’s here (and winter’s soon to follow), you might be looking to take care of things like furnace maintenance and updating your current hot water solution. Something you should also do is schedule autumn duct cleaning for your home. Because although your ducts are hidden behind the walls and underneath the floors, they’re incredibly important in keeping your family safe and comfortable as the temperature drops. 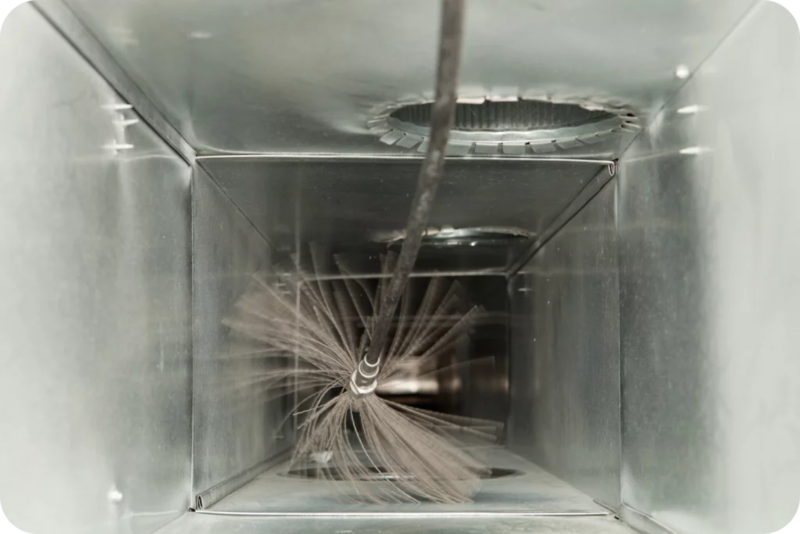 Do you know what’s lurking inside your air ducts? PET DANDER: Dander isn’t hair. Rather, it’s skin that’s been shed from animals with fur or feathers. DUST MITES: Incredibly tiny (0.25 mm in length), dust mites feed on skin flakes (like dander) and are known to produce excessive amounts of waste. POLLEN: If you’re allergic to pollen (ragweed), then you have hay fever. You also know it produces watery eyes, runny nose, and sore throat. MOLD SPORES: In order for mold to grow, it needs moisture and a food source. Both of which can be found inside your air ducts. That’s only a few of the problematic pollutants found inside your duct work. Since your air ducts are responsible for blowing warm (in fall/winter) and cool (in spring/summer) air throughout your house, these allergens will hitch a ride. Eventually, they’ll end up on your furniture or even worse, inside your body. LANE 1 (RUNNER): It’s a clear track with no hurdles to worry about or navigate. LANE 2 (HURDLER): There are hurdles set up every 10 metres. Now, who do you think would win that race: the runner or the hurdler? The same philosophy applies to your ducts. Obstruction-free ducts are quicker and more efficient than those which are somehow blocked. Your furnace will have to work harder to deliver warm air (much like the hurdler will have to work harder to finish the race). Furnace repairs are much more likely (just like there’s a greater chance the hurdler gets injured vs. the runner). More money is needed to heat your home (while the hurdler expends more energy to reach the finish line). Duct cleaning removes barriers like dirt, wayward insulation, wood chips, or other things to give warm, cozy air a clear path to every room in the house. Late summer and early fall weather is nice. In fact, you might not even need to use your air conditioner or furnace. In that case, duct repairs may be needed. And it’s much more preferable to get your ducts fixed when you don’t really need them, as opposed to on the coldest night of the year. In fall and winter (actually, all year round), you want to breathe in fresh, clean air inside your home. Duct cleaning from ClimateCare allows you to do just that. To start, locate your nearest ClimateCare member. With over 30 ClimateCare dealers throughout Ontario, you’re certain to find one close to you.